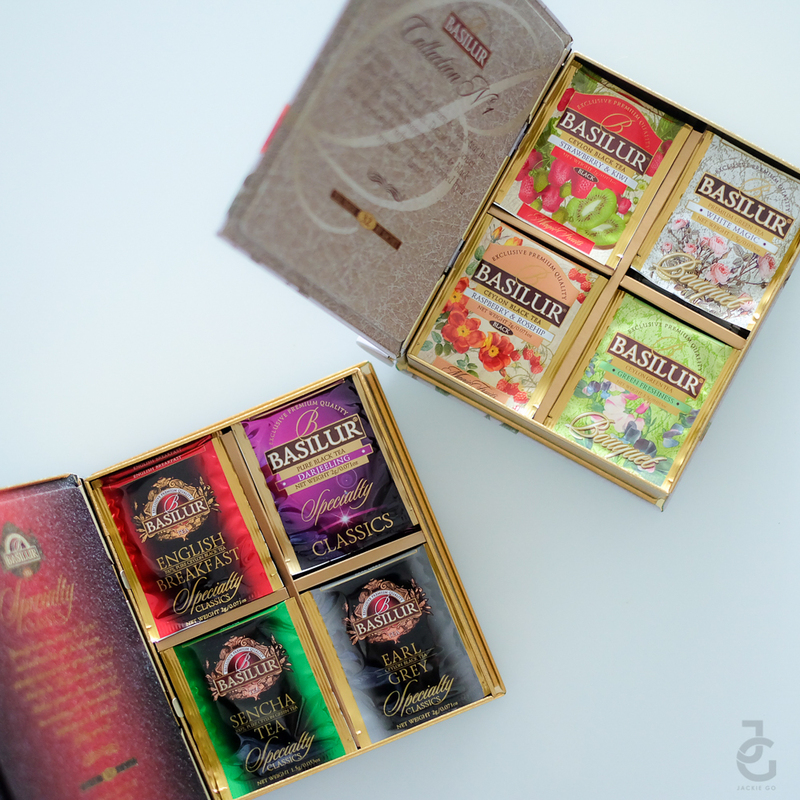 I find myself liking tea as much as I like coffee. I like having tea when I’m stressed for I find it calming. I also take it whenever I eat a lot and by a lot I mean buffet or go all out on Chinese food. 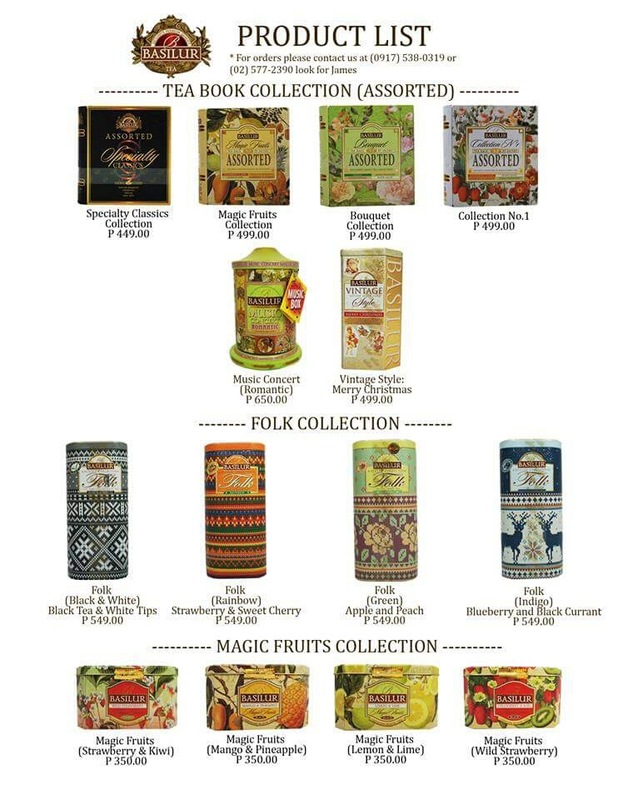 If you were to gift me tea, I’d be very happy! 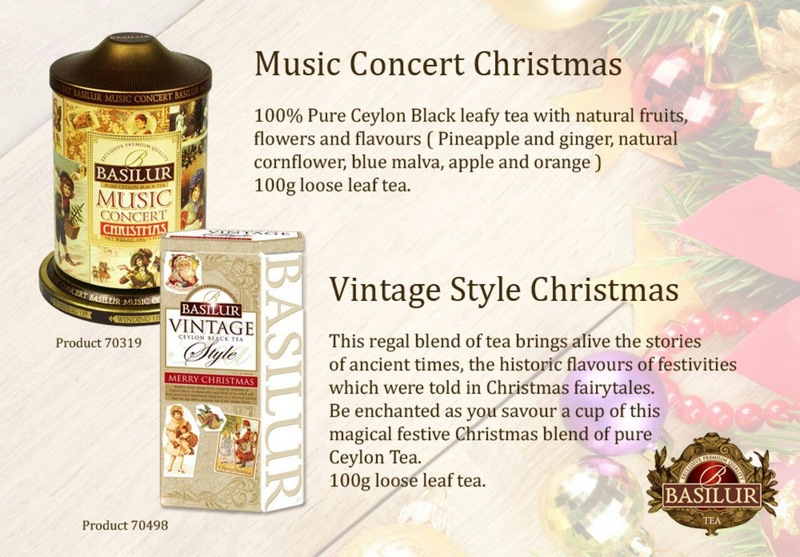 So for those of you who are still doing last minute Christmas shopping, consider Basilur tea to gift to friends and family who have it all. 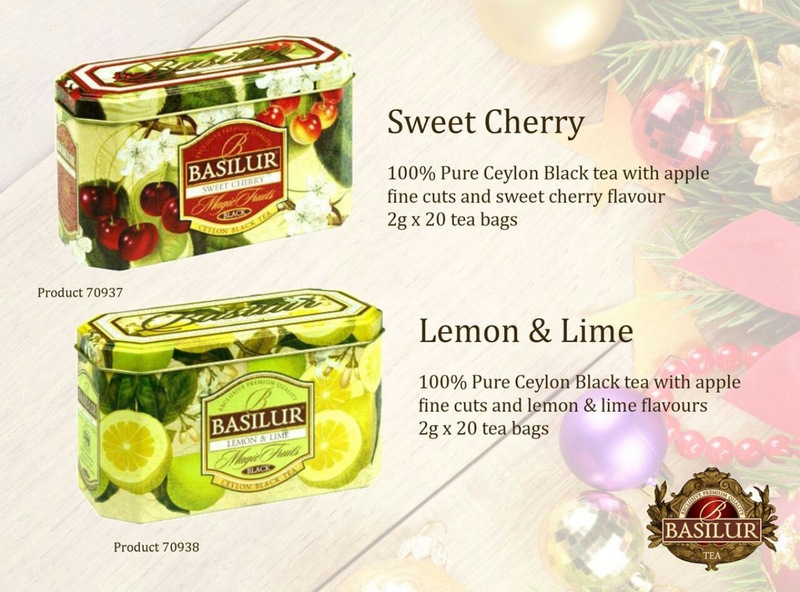 Basilur tea was born in the land, which produces the world’s finest tea, Sri Lanka. Sri Lanka, formerly known as Ceylon, possesses the perfect climatic and soil conditions to grow this noble herb, which boasts of a 5000 year old history. 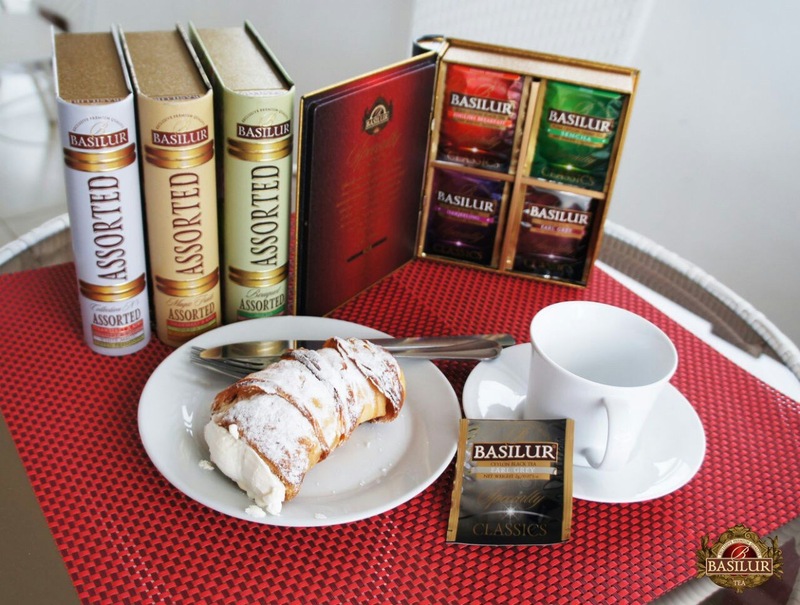 Presently, it is sold in 67 countries and lucky for us, it’s finally here in Manila, Philippines. 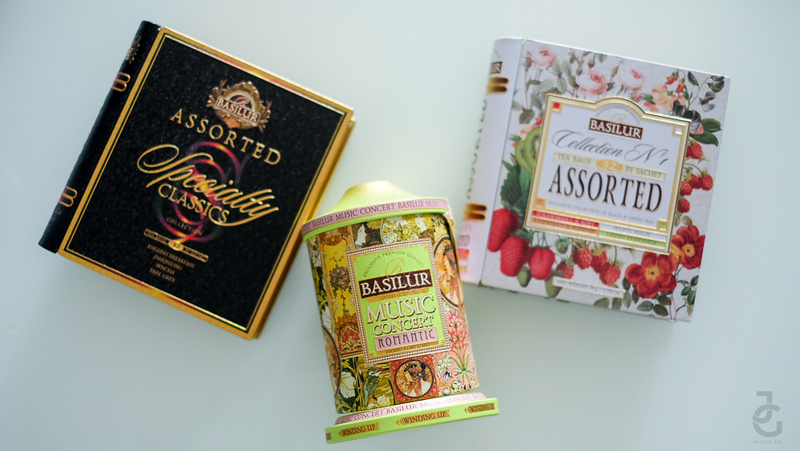 Basilur offers tea and herbal infusions in high-quality, decorative metal tin caddies with unmatched and unique shapes. Creativity stands our to be the core value of the brand, which is strongly supported with quality, consistency, and luxury. I love these book sets. 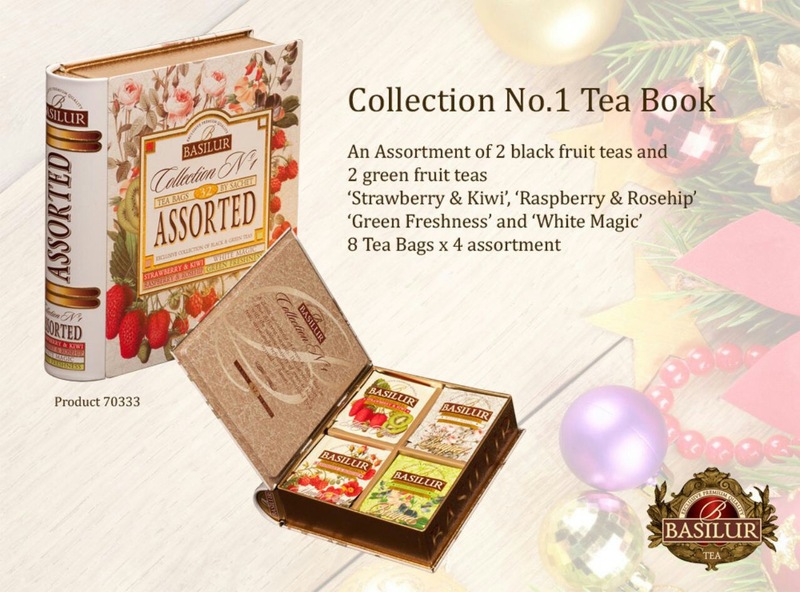 Each has 32 tea bags with 4 variants. 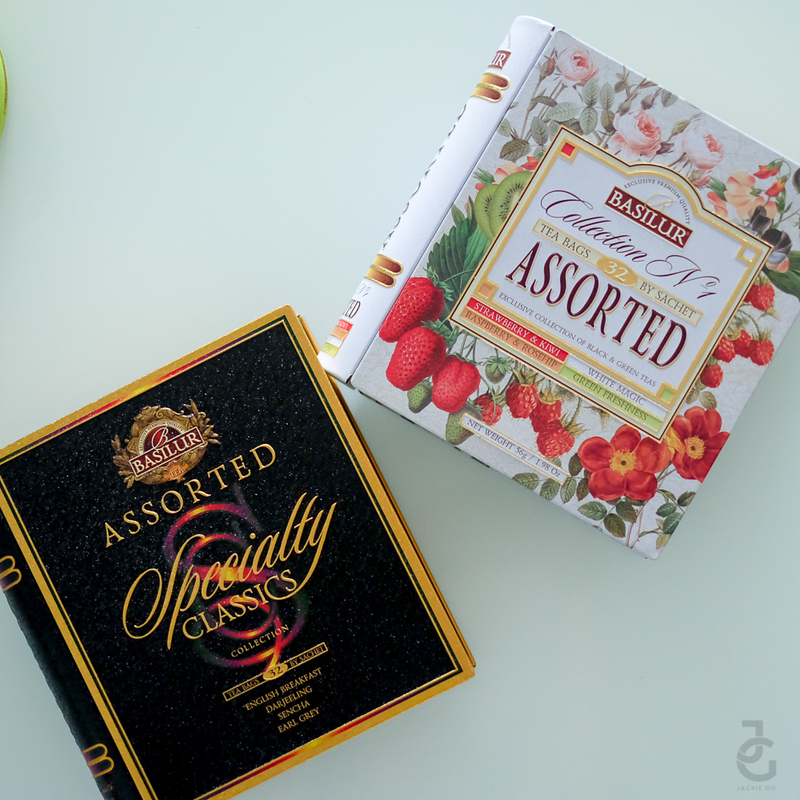 While I haven’t had the chance to try them all, I personally love the raspberry & rosehip and strawberry and kiwi flavors. I honestly didn’t know there’s a right way to make tea. For I’ve been dunking the tea bag on a hot or boiling water and that’s it. 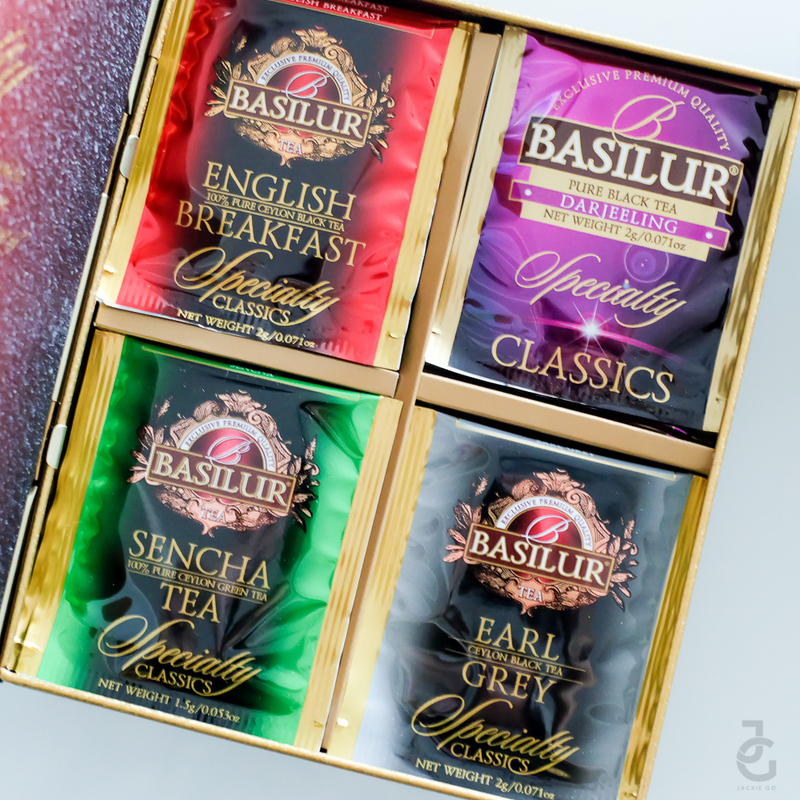 Thankfully, Basilur sent me a note on how to properly make their teas. 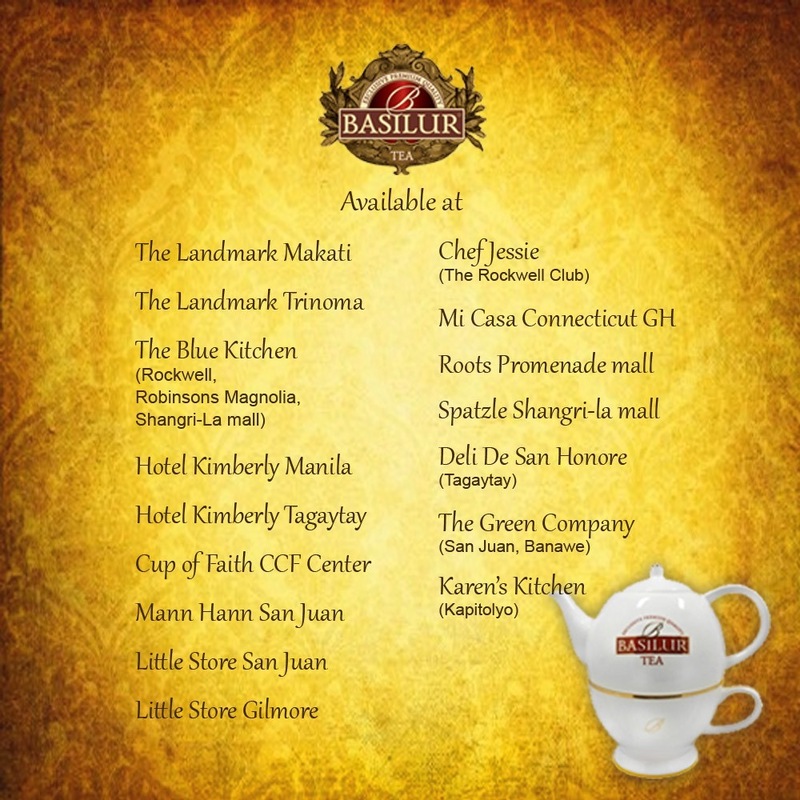 How to make Basilur Hot Tea. Select a clean teapot of the correct size for the number of cups required. Fill a kettle with fresh cold water and bring to boil. Never use previously boiled or distilled water. When the water is almost boiling, pour a little into the teapot, swill it around and then pour the water away. Measure the loose leaf tea into the teapot, one teaspoon of tea leaves (about 2g) per person and one for the pot per 190-200ml water. When the water has boiled (about 100ºC), pour out into the pot and close the lid. Whenever possible, place the leaves inside an infuser that can then be lifted out of the liquid once the tea has brewed. Stir the tea after one minute, replace the lid and brew for four more minutes. After the correct number of minutes, lift the infuser or strain all the tea into cups or into another heated pot to keep warm. Add dairy milk and bee’s honey if you desire tea white & sweet. If the tea is too strong for your taste, add more boiling water. Never keep the teapot on a hotplate if the tea leaves are still inside the pot. 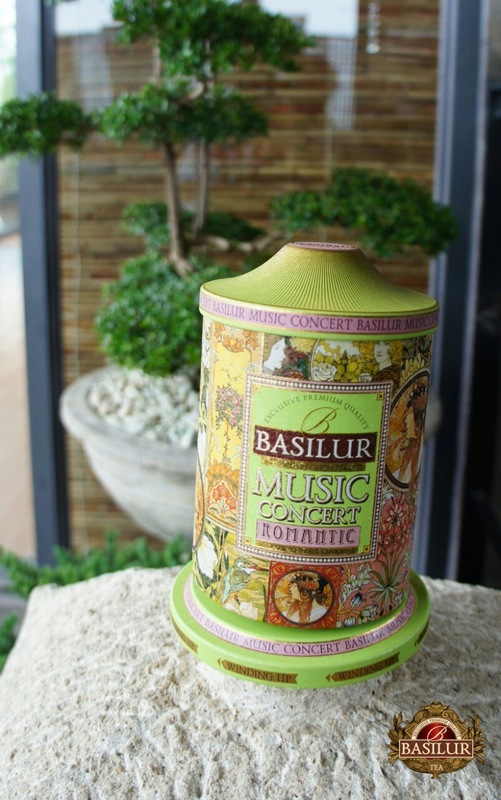 For Basilur Green Tea, follow the same steps but make sure to keep the boiling water to 80ºC instead of 100ºC. If the tea is too strong for your taste, add more boiling water. 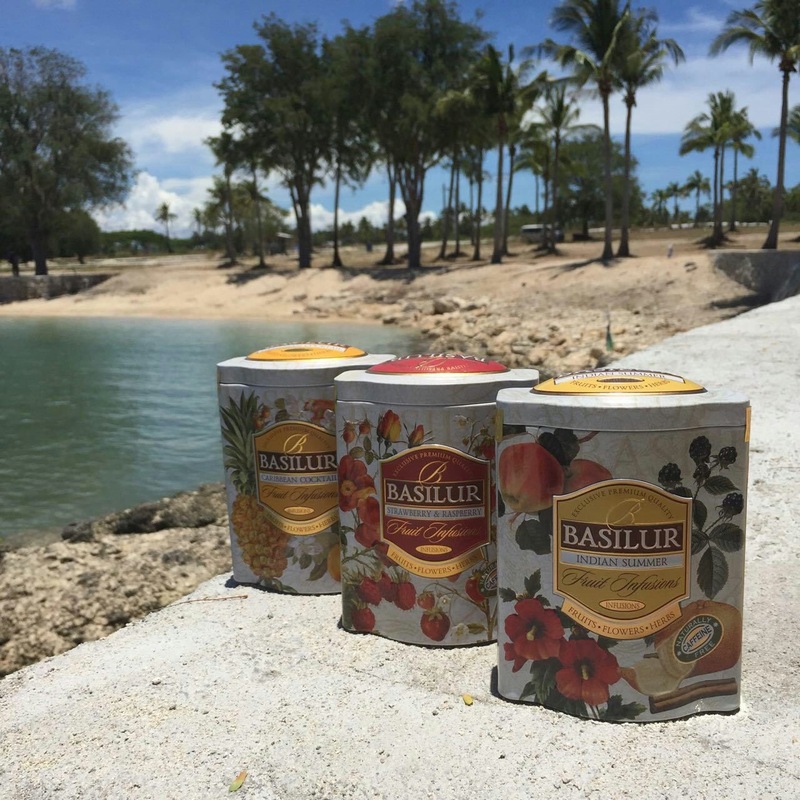 How to make Basilur Fruit Infusions. 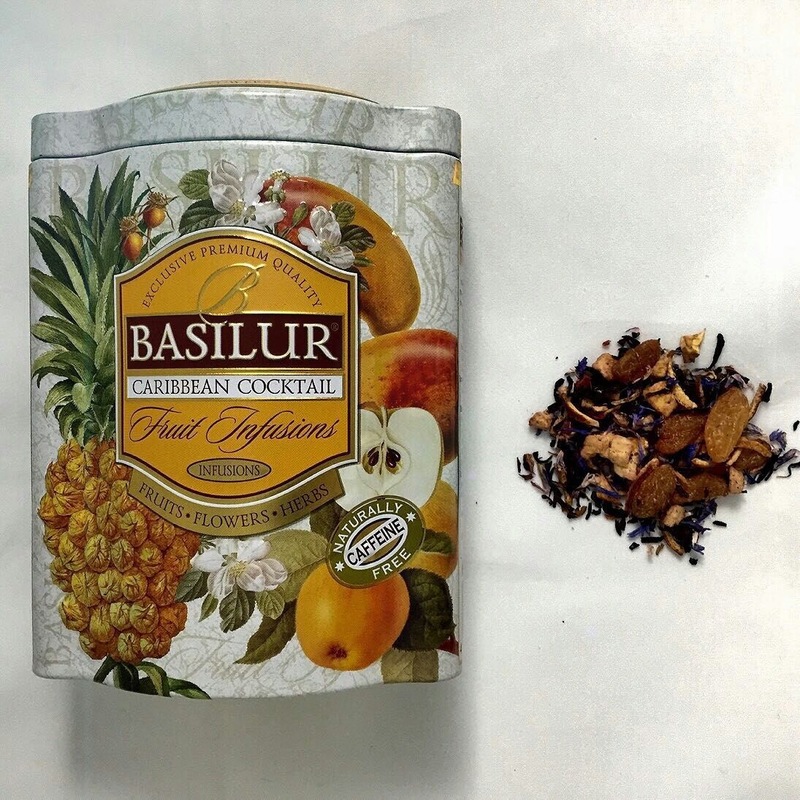 Measure the fruit cocktails by Basilur into the teapot, one to two teaspoons (about 2g) per person and one for the pot per 190-200ml water. When the water has boiled (about 100ºC), pour out into the pot and close the lid. 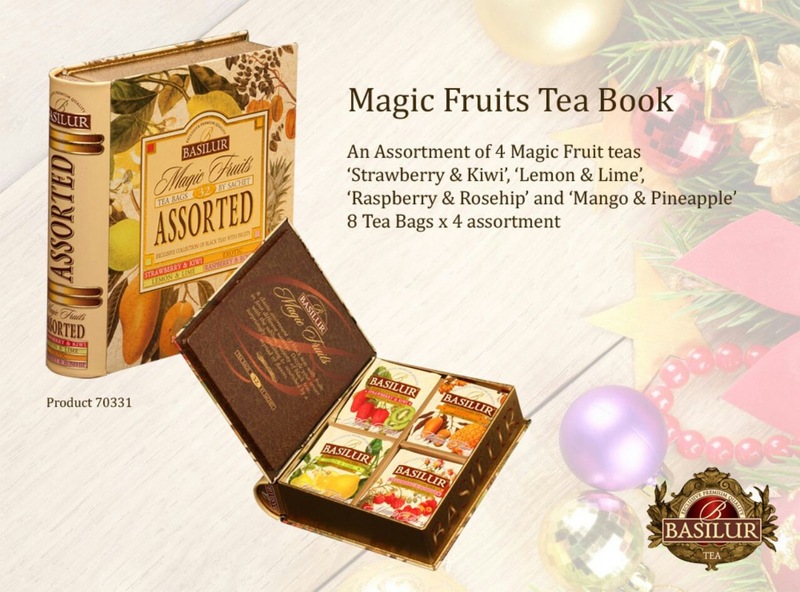 Whenever possible, place the dried fruits inside an infuser that can then be lifted out of the liquid once the tea has brewed. Stir the fruit cocktail after two minutes, lift the infuser or strain all the tea into cups or into another heated pot to keep warm. You may brew for little longer to get a stronger taste. 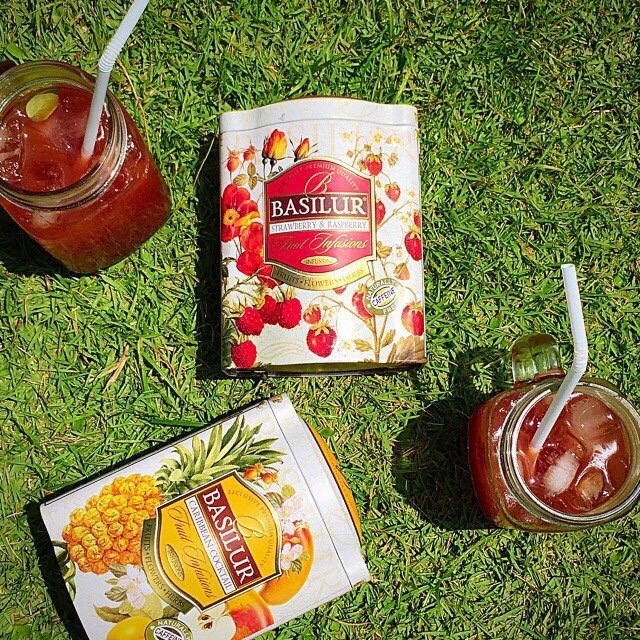 How to make Basilur Iced Tea. To make ice tea, follow the same instructions for making hot tea, but use two teaspoons (about 4g) of tea per person or cup. After it’s brewed to the proper strength, as above, remove the tea infuser and strain into another container and let the tea cool to room temperature. Serve in tumblers with plenty of ice. 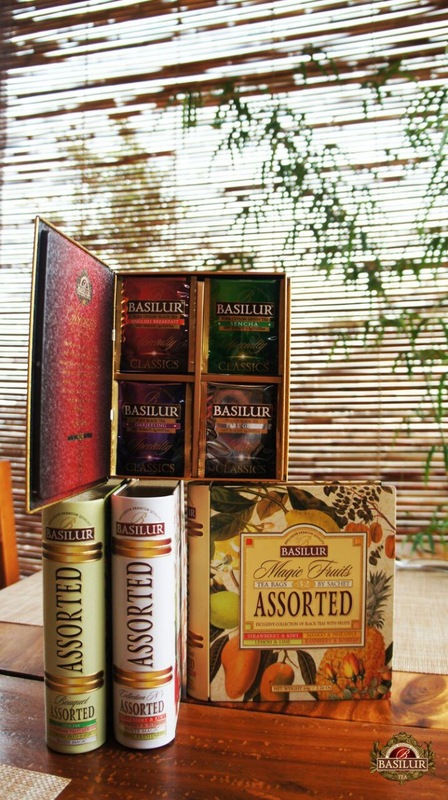 How to store Basilur Tea. 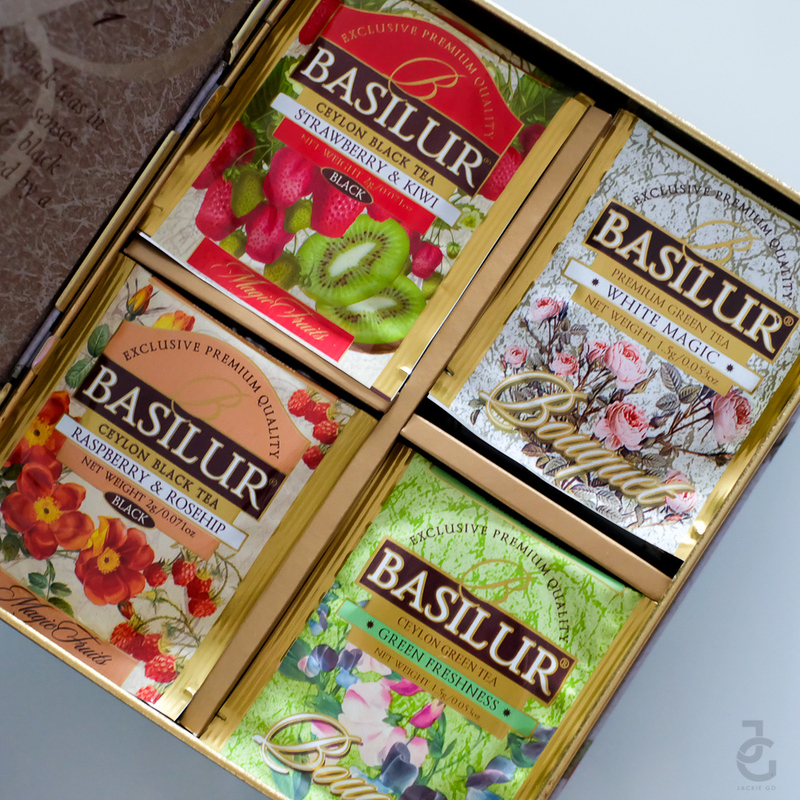 Basilur tea is offered in special foil pouches with zipper locks. 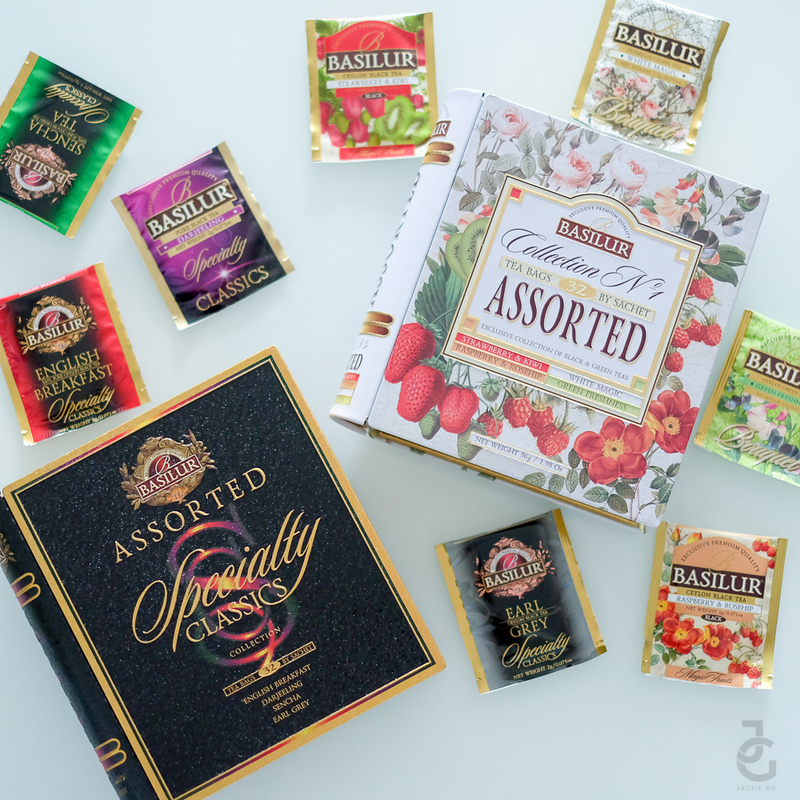 Once the sealed foil pouch is opened, make sure that you press the zipper lock after each time you take the tea out. 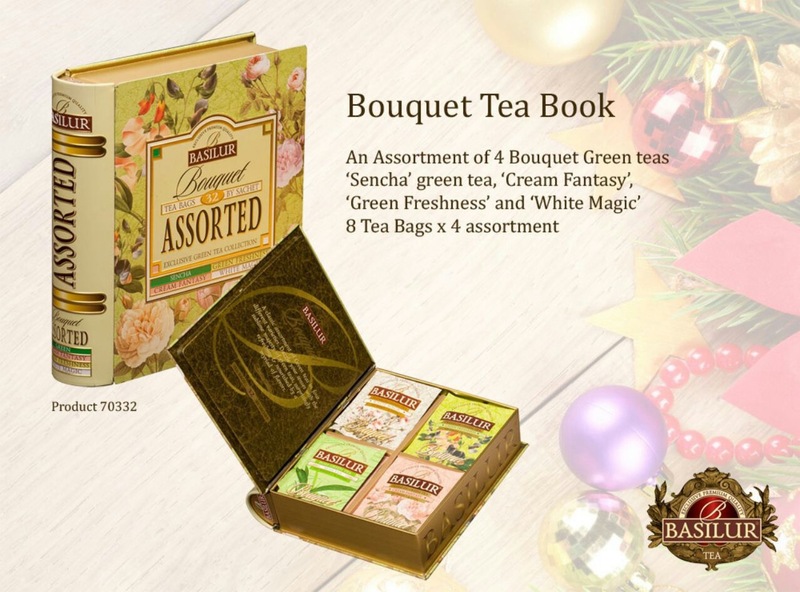 It is also recommended to store the tea pouch in an air tight container and store it in the refrigerator. Tea should be stored in cool, dry, place. 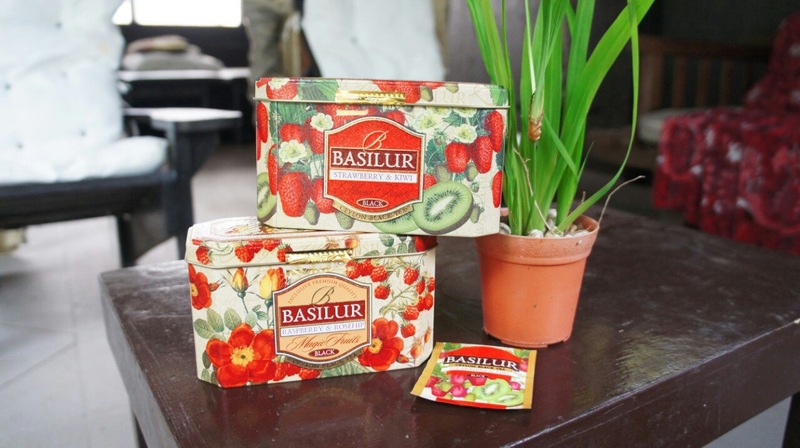 Interested to try Basilur Tea Fruit Infusion ‘coz it’s caffeine free! 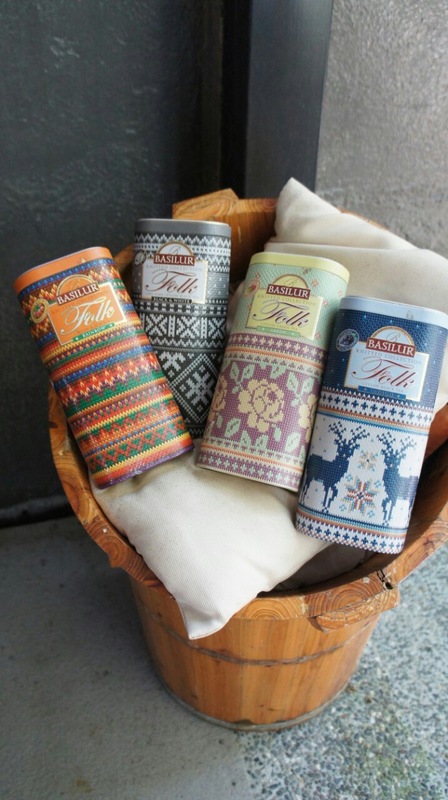 These Basilur Knitted Collection cans are perfect for Christmas. Cute no? To be honest, I haven’t tried making iced tea at home but now that I know how to properly make one, I’ll be mixing my own glass (hopefully) soon. 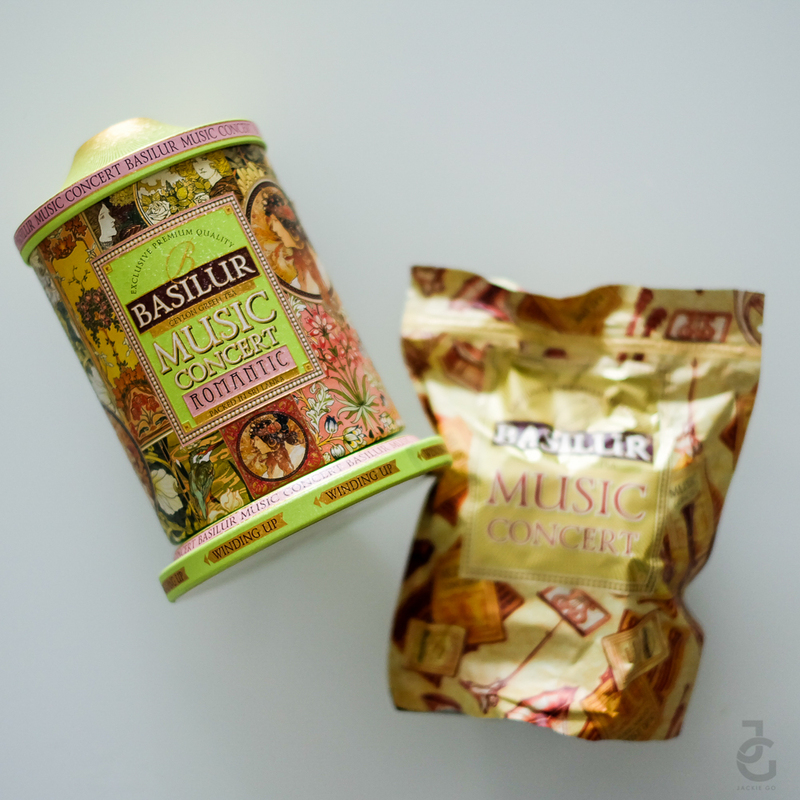 My kids couldn’t get over this Basilur wind-up musical tin can. Equally excited to brew this one over the holidays! 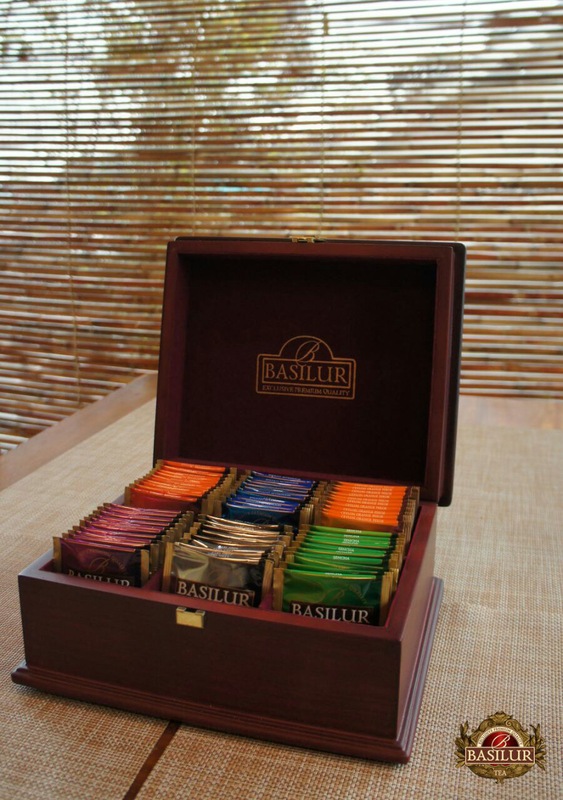 More Basilur tea sets to choose from.